Noted economists fear that Jharkhand might slip back into the dark ages if the Union Budget 2015—the Narendra Modi government’s first full-fledged budget—does not take into account massive environmental degradation in the state. Ramesh Sharan, an economist affiliated with Ranchi University, notes that the state’s mineral resources have been exploited since Independence. “Unscientific mining has not only wreaked havoc on land but also polluted major rivers in the state, including Damodar and Subernarekha,” he says. 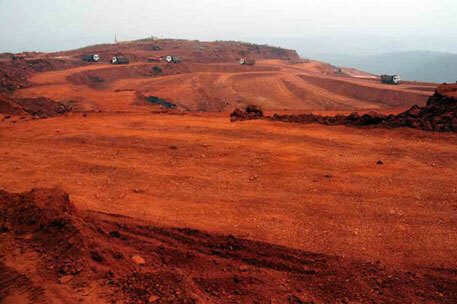 According to……..., unscientific mining is carried out in at least 10 districts of the state. Sharan adds that the Union Budget should focus on a separate fund for restoration of jal, jungle aur zameen (water, forest and land) in Jharkhand. One of the best ways for restoration, he suggests, is by using mineral royalty earned by the state. Currently, Jharkhand earns nearly Rs 3,230 crore from royalty annually. Sudhir Prasad, former chief secretary of the state, says that Jharkhand is a special state that has been endowed with natural resources. “Unfortunately, the state lacks research institutes like the Indian Institute of Forest Management. We need expert guidance on how to thrive on natural resources—a factor that is rarely mentioned in the Union Budget for Jharkhand,” he claims. Prasad accepts that there should be scientific mining, but points out that special schemes for minor forest produce and a strict pollution watch along with restoration of the state is extremely crucial. “At present, there is a single-point agenda of industrialisation for Jharkhand, but there is a parallel green economy of minor forest produce that exists in the state. It needs to be promoted,” he adds. Jharkhand has 40 per cent of the country’s mineral reserve and the state government has formed the Jharkhand State Mineral Development Corporation (JSMDC) to facilitate mining. “We should have a similar corporation for the restoration of the state’s resources and a separate corporation for minor forest produce,” Prasad says. Minor forest produce in Jharkhand has about 55 items, including lac, but neither the Centre nor state has taken any initiative to provide a minimum support price. Tasar silk is the only product that has caught the attention of the state, which has created Jharcraft, a silk textile and handicraft development corporation to promote the unique tasar culture of the state, along with its handloom and handicraft. But silk farmers have benefited little and continue to remain poor. Sharan and Prasad have also slammed the Union and state governments for following an archaic health policy in the state. Jharkhand is being industrialised at a rapid pace, but so far there has been no major budgetary provision on occupational health hazards. “States like Jharkhand, Odisha and Chhattishgarh need a separate department for occupational health hazard. We only focus on rote health factors like malaria and reproductive health,” says Sharan. Several companies in Chaibasa in West Singhbhum district have abandoned asbestos and iron ore mines. Jadugoda, a census town in Purbi Singhbhum district, is a hub of uranium mining but there is no separate monitoring mechanism to study the health or environmental impacts. Sharan emphasises that radiation, asbestoisis, silicosis and rampant pollution of rivers need a special category in the Union Budget. “If these issues are not dealt with immediately, Jharkhand will slip into the dark ages,” he warns. But all hope is not lost. Hareshwar Dayal, an economist with the non-profit, Institute of Human Development, says it is good news that the Union government is giving more freedom to states to make their own plan. “Jharkhand has got a stable government for the first time. The BJP government both at the state and Centre might give Jharkhand special preference in the Union Budget,” he predicts. Dayal further says that the state needs a long-term plan for sustained growth. “Sustainability and strict implementation of environmental norms is the need of the hour,” he adds. Both Sharan and Dayal think Jharkhand desperately needs a special status. Why is Jharkhand still running this sick and polluting power plant?